SOME SPOILERS for the beginning of Deadpool 2: Electric Boogaloo. 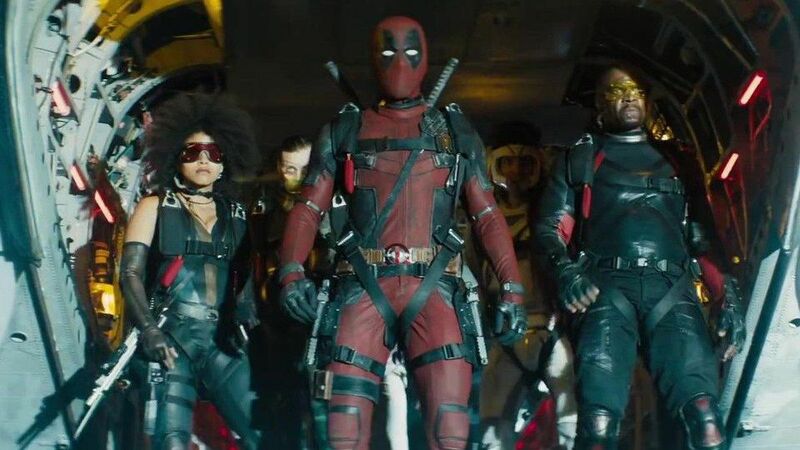 Deadpool 2 was a good movie with problems I would harp on if it was another movie. This movie is about Wade Wilson aka Deadpool growing a bit as a character. Well, not really but sort of. Wade has settled into a bit of a routine at the beginning of this film. He has his work as a mercenary again and is living with his girlfriend Vanessa. They are celebrating an anniversary and Vanessa wants to have a child which Wade both wants and fears. He doesn't want their child to turn out like him, not referring to his mutant powers but to his character. This becomes important later. Vanessa is killed by a person Wade didn't kill on one of his contracts. This starts him on a revenge cycle quickly followed by depression. He tries to kill himself but that doesn't work because, well, Deadpool's powers. Wade is dragged to the X-Mansion by Colossus and they try to make him better by having him become an X-Men...trainee. On his first mission, Wade encounters a pyrokinetic mutant named Russell who is causing mayhem. Wade is able to stop him but realizes that Russell is being abused at this place he is staying called Essex House for Mutant Rehabilitation, a place obviously based on conversion therapy locations in our world. 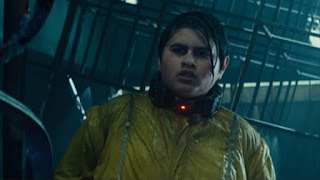 Wade kills one of the abusers and before he is able to kill the head of Essex House he is captured and thrown into the Icebox, a prison for mutants utilizing dampening collars. This is when Cable shows up to stop a grim future for Russell and the world and this is where I'm going to stop this review because I don't want to totally spoil the movie if you want to see it. I will tell you that he arrives a la Terminator and steals a truck from two country boys played by Alan Tudyk and Matt Damon, again appearing in disguise in a Marvel film. Every universe has a Matt Damon. 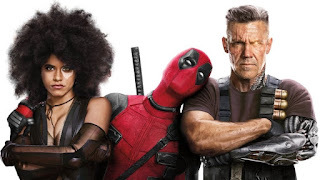 Zazie Beetz, Julian Dennison and Josh Brolin are excellent as Domino, Russell and Cable respectively. Zazie is particularly good in her role as Neena/Domino and I hope we see more from her as this character. 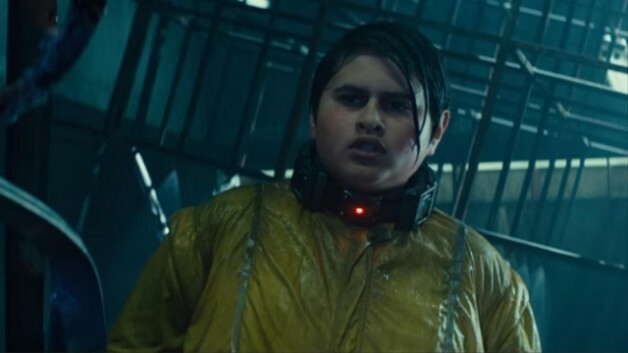 The character of Russell is obviously Rusty Collins from his name and power but has a similar arc to the clone of Apocalypse named Evan with Deadpool playing the role of another character that saved him. He also shares traits with Samuel Pare who similarly befriends a powerful mutant. Cable is Cable and Josh Brolin makes him the perfect foil for Wade like he is in their comic books. 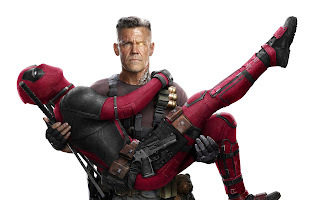 The plot of Deadpool seemed to be cobbled from a few different comic book runs with tweaks to it but the story in this movie is pretty straightforward. 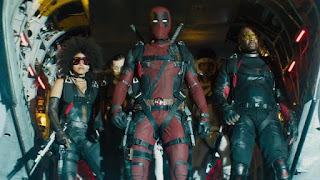 There are definitely many humorous moment as to be expected in a Deadpool movie, particularly the end credits scenes. It also provides set up for another Deadpool sequel. Is Deadpool 2 worth the price of an adult movie ticket? Well, that depends on if you really enjoyed the first movie and how expensive tickets are near you. I did enjoy the first Deadpool movie but I think this movie feels like a movie to watch on FX on a Sunday after it has had it's theater run. There is nothing wrong with that. FX DOES have the movies. Your enjoyment of this movie is pretty much predicated on how much you like the character of Deadpool and Ryan Reynold's portrayal of him. I really do but I'm glad I saw it at a home of a friend and didn't pay exorbitant NYC movie ticket prices.